Customers today are far more concerned about the contents and origin of a product than ever before. in such a scenario, granting them easy access to product information, via digital initiatives such as SmartLabel™, goes a long way in strengthening customer trust in a brand. But it also means expending several man-hours of effort processing unstructured data, with the possibility of human error. Intelligent automation can help save effort and time, with virtually error-free results. 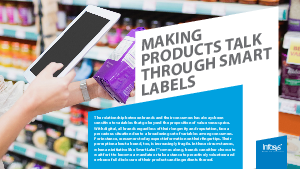 A consumer products conglomerate wanted a smart solution to implement SmartLabel™ compliance. See how Infosys helped and the five key takeaways from the project.